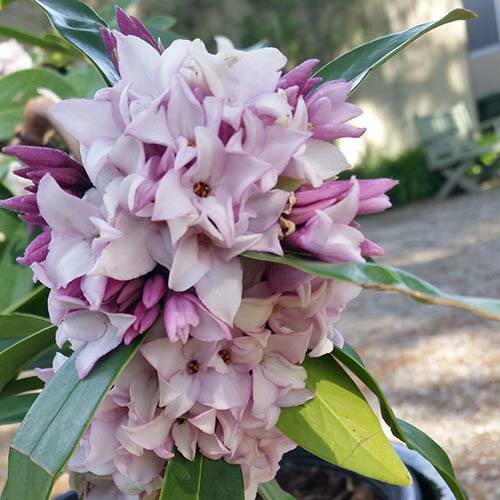 The most fragrant Daphne ever! 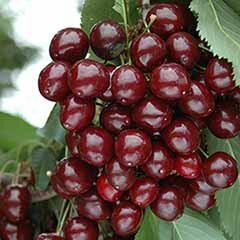 This is a breeding breakthrough and Perfume Princess is now a multi award-winning variety - voted by experts 'in the trade'. 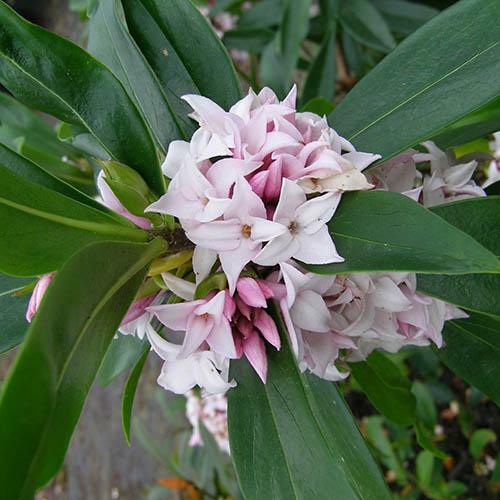 Perfume Princess has large, very long-lasting and super-fragrant blooms - the blooms are the largest of any Daphne - giving you much more value for money. 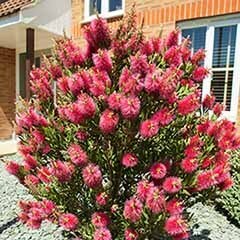 The flowers appear in clusters along the entirety of all stems - they are also colour changing, starting mid-pink and fading to white. 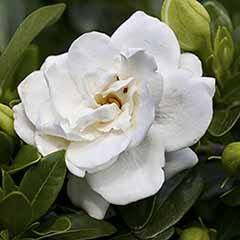 It is a perfect shrub to grow in your garden but cut stems make wonderful cut flowers too. 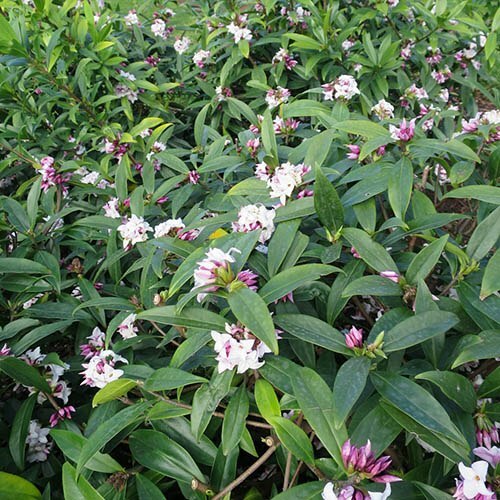 Totally winter hardy, guaranteed to grow and thrive anywhere in The UK - MUCH easier to succeed with than any other Daphne offered before. Delivered as an established plant growing in a 9cm pot. 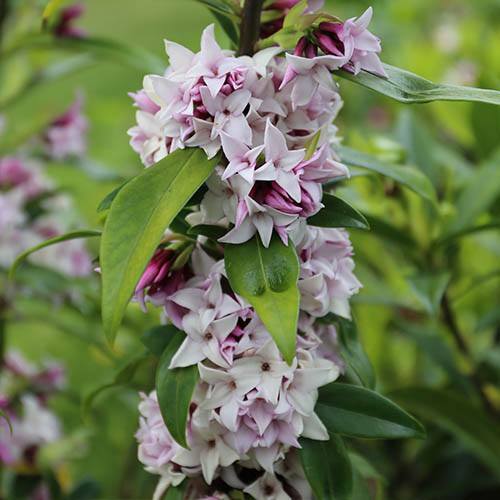 This fantastic new Daphne originated from a private breeder in New Zealand and has just won the 'Plant of the Year' award in Australia but is perfectly suited for British gardens too! 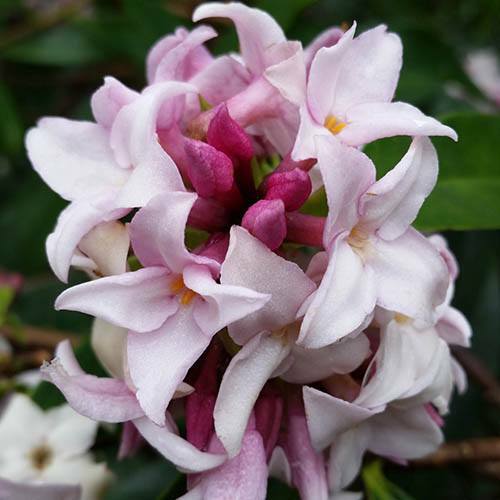 Arguably the best Daphne yet, it’s both earlier and longer flowering than other varieties and the blossom makes this Daphne extra special. 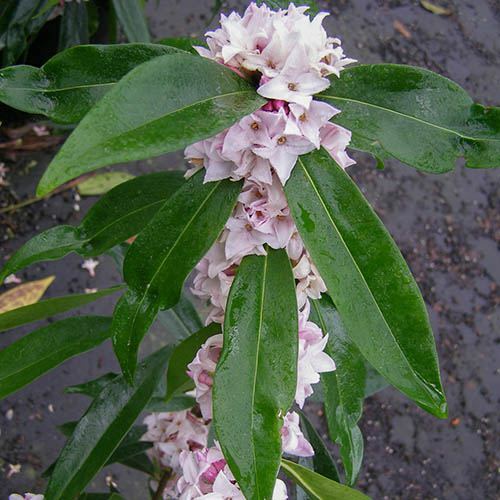 Large, fragrant flowers open from dark pink buds into large clusters growing up to 5cm across- as much as four times the size of a regular Daphne - a 3-year-old plant can have as many as 10 clusters along each stem. 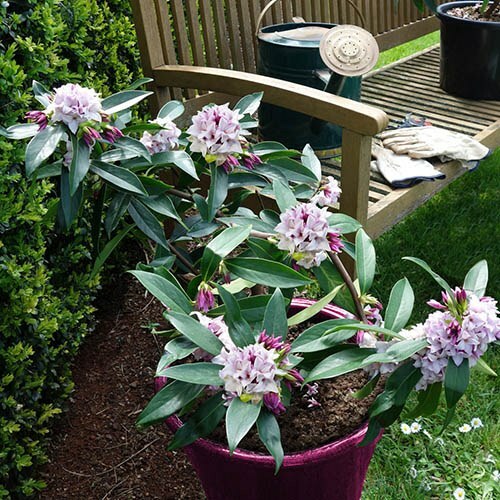 Aside from the size of its blooms, the mesmerising fragrance ‘Perfume Princess’ produces really sets this plant apart - it's undoubtedly the sweetest, most divinely scented of all Daphnes. ‘Perfume Princess’ is also a very easy Daphne to grow. 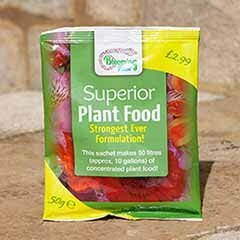 Slow growing and compact, it thrives in a wide range of conditions and is even happy in full sun - making it ideal for novice gardeners and the more experienced alike. 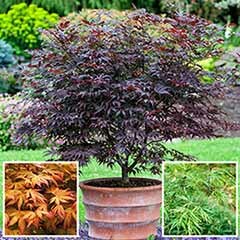 Evergreen, the lustrous, dark green leaves add structure and form to your borders, and even when not in flower, it’s still a great choice for a large container where space is limited. 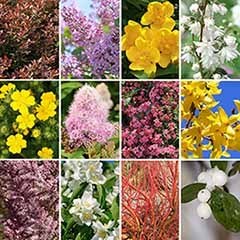 Wherever you grow it, make sure that it’s in a place where you can fully enjoy the perfumed fragrance that will fill the air when the plant is in bloom. 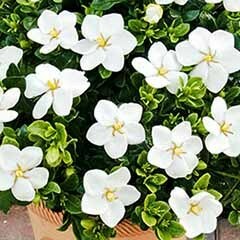 Supplied as an established plant in a 9cm pot. 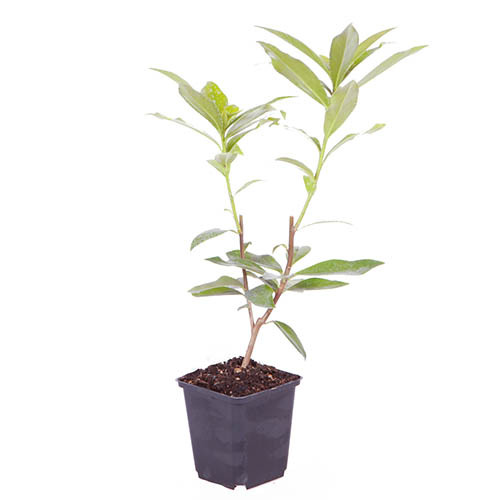 Delivered as an established plant growing in a 2L pot. 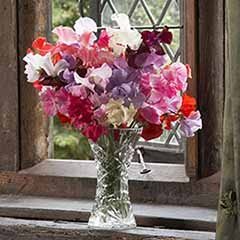 Grown for their beautiful and intensely fragrant blooms, Daphnes are best planted near paths and doorways or at the front of borders where it is easy to enjoy their delicious fragrance when in flower. 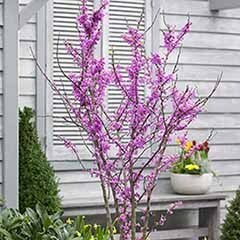 Plants will thrive in sun or part-shade with well-drained soil. They don't like dry roots, so water regularly and deeply. 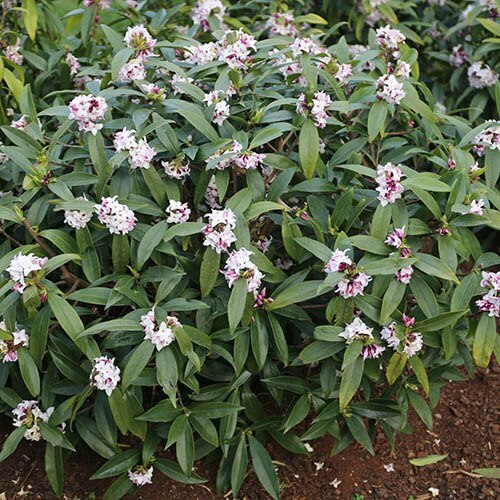 Daphne will establish best if planted in the spring when the soil is warm - March to Oct. 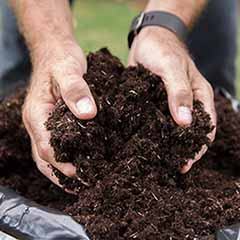 If your soil is heavy add plenty of well rotted compost to the area and dig it in well. 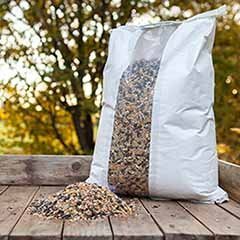 Horticultural sand/grit added to the mix is also beneficial. 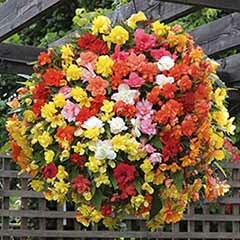 Place the plant into the hole, back-filling so that it is at the same depth as was in the pot. Fill around the root ball and firm the soil down gently but firmly. Water well. 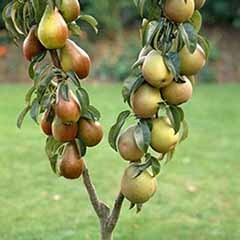 Grafted plants should be planted with the join a couple of centimetres below the soil level. 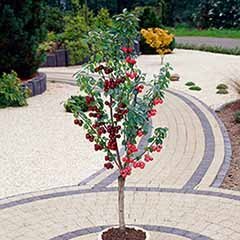 Where necessary after flowering, lightly trim to remove misplaced branches and maintain a compact habit, otherwise a quick clear-up of fallen leaves will suffice. Problems with wrong items sent. Some plugs did not survive. Only three of the roses ordered survived. 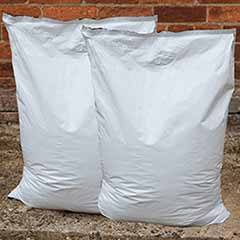 As you will see from our orders we have spent a lot of money, next year will tell. 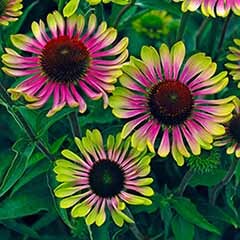 These were another item which were first missed off our order then when the replacements were sent it was found they were sun flowers. A further phone call was made to your office and replacements sent. Again next year will tell. I'm glad to hear that although you encountered some problems, they were dealt with efficiently. Please keep us updated on your plants' progress. Nice and healthy and so far so good. Good quality products at a great price. I thought it would be a bit bigger.